Well, I think it's about time to add another gigi to the group. 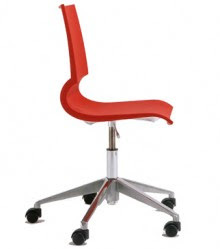 This one looks more like an office chair. I wouldn't mind this red one at my desk at work. Oooohh, and maybe the mango color at my sewing table.